Caraval is over, but perhaps the greatest game of all has begun―with lives, empires, and hearts all at stake. There are no spectators this time: only those who will win…and those who will lose everything . . .
GAH, YOU GUYS KNOW HOW MUCH I ADORE THE CARAVAL SERIES, AND NOW FINALE IS ALMOST HERE!!! Filled with laughs, swoons, and comic book culture, book nerdigans are going to love Comics Will Break Your Heart. Set up as a mild enemies-to-lovers story, this book builds a story around multiple generations caught in an emotional and legal battle involving a comic book franchise. As the newer generation, in this case Miriam and Weldon, get the brunt gossip of the past, both teenagers try to build a friendship without being pelted with bitter feelings from various familial perspectives. Comics Will Break Your Heart takes a realistic approach in describing the vulnerability and anger that often encompasses situations that teenagers experience, such as friendships growing apart, college worries, first love, and financial problems. All of these situations are not sugar-coated, but fully unravel as the story progresses. There are tears, heartache, and throwing coffee cups at windows, but there is also comfort, much-needed hugs, and wide-open communication. Additionally, I really enjoyed the family dynamics in this book. Miriam’s parents are so heartwarming and funny. And her father has the best sense of humor…he’s the typical father that has so many “dad jokes” that had me laughing out loud throughout the book. If you are fan of comic books and comic conventions, the nerdy side of this book is so welcoming. These characters have a passion for creativity and respect for one another. As a quirky and quick read, Comics Will Break Your Heart provides a realistic understanding of life’s woes and unpredictability. Add in a dash of romance and “POW,” the story unfolds with compassion and forgiveness in the mix. Comics Will Break Your Heart is not a full-on rom-com but it is very sweet and funny at times. Note: Thank you to Fierce Reads for providing me an early copy of this book to read and review. I was not compensated for this review. All statements and opinions in this review are mine. Anna Shepherd is a straight-A student with a lot going on under the surface: she’s struggling with her mom’s death, total friend drama, and the fallout from wasting her time on a very attractive boy. She’s looking forward to skipping town after graduation–but then a zombie apocalypse majorly disrupts the holidays season. It’s going to be very hard to graduate high school without a brain. 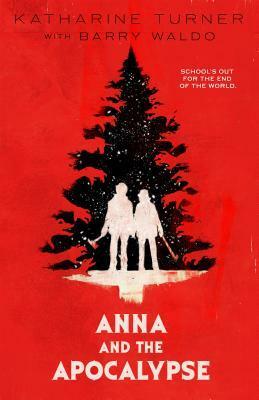 Anna and the Apocalypse is a quick-paced story about a teenager named Anna whose whole world is turned upside down when a zombie apocalypse occurs just a few days before Christmas. Throughout the story, Anna’s sarcastic and dark sense humor provides laugh out loud moments as she and her friends kill zombies and try to stay alive. Mix in the angst of teenage drama with horror of the walking dead and TADA, you have Anna and the Apocalypse. And what pairs well with a zombie apocalypse book set during Christmas? Of course, a nice cup of hot cocoa! Be sure to follow the instructions on your hot cocoa packet/tin. I always warm up my water in the microwave. Stir the cocoa mix into the hot water. Next, I add a few small drops of peppermint extract. And don’t hold back on topping your cocoa with whipped cream, marshmallows, or candy cane pieces. Enjoy! Note: Thank you to Fierce Reads for providing me a final copy of this book to read and review for free in exchange of an honest review. All statements and opinions are my own. 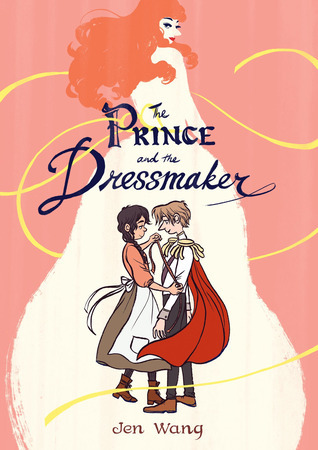 The Prince and the Dressmaker is a heartwarming graphic novel about hope and being yourself. I didn’t know what to expect from this book but I am so glad I read it. The positive message to be proud and happy with who you are and always shoot for your dreams will make your heart ache (in a good way). I loved watching the dynamics grow between Sebastian and his dressmaker Frances, the two main characters. Their friendship is so adorable and heartwarming. Additionally, the illustrations in The Prince and the Dressmaker are so gorgeous and match perfectly with the style of the Sebastian’s alter ego, Lady Crystallia, a true fashionista. Definitely give this graphic novel a read for both the colorful illustrations and the cute, positive story. Note: Thank you to First Second for providing me an ARC to read and review for free in exchange of an honest review. All statements and opinions are my own. AHHH! I highly enjoyed Check, Please! : #Hockey, Vol. 1. It’s cute and swoony and funny. Bitty, the main character, has the most honest and sweetest personality. I love how positive Bitty is, and I really enjoyed him talking directly to his vlogging audience (us the readers) with updates on his life, cooking adventures, and friends. 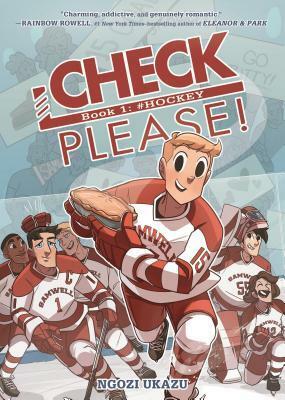 Through each page, Bitty provides the most joyful and welcoming commentary on his college experiences, what it’s like to go from a figure skater to joining a hockey team, and creating new friends who he is very hesitant to tell that he is gay. Bitty’s personality is engaging and his story is like a welcoming warm hug. Definitely give this graphic novel a read if you love to laugh and swoon and eat pie…YUM. I highly enjoyed Trica Levenseller’s Daughter of the Pirate King duology, so I cannot wait to dive into one of her books again. 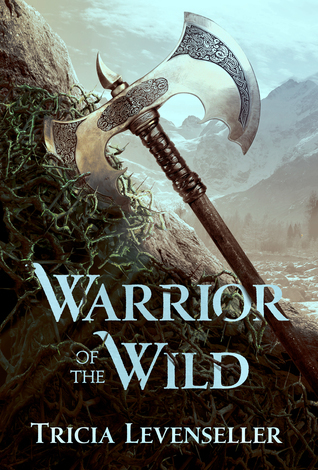 I love the cover of Warrior of the Wild and the synopsis sounds like we are in store for another fierce and badass female character (and hopefully some witty snark).